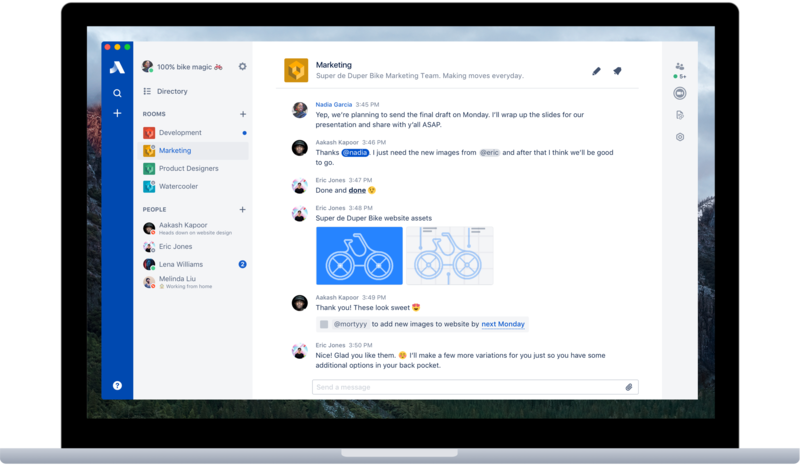 Last September, Atlassian launched Stride, its take on a Slack-like real-time communications platform for text, audio and video chats, into beta. Six months later, Stride is now generally available to any and all teams that want to give it a try. While Atlassian is a bit cagey about providing exact user numbers, so the numbers it actually shared aren’t all the useful to gauge the service’s success. What the company was willing to say is that its users have now spent a quarter of a million hours in Stride’s Focus Mode, which is meant to allow worked to reclaim a bit of sanity in today’s notification-driven world by allowing you to turn off all incoming messages and notifications. As Atlassian’s head of communications products Steve Goldsmith told me, the company is happy with the state of Stride and that it’s growing quickly. Goldsmith also stressed that this is far from the final version of Stride. The team still has quite a roadmap of features that it wants to implement. But taking away the beta label, though, the company is signalling that it has worked out most of the kinks and that Stride is now ready for full enterprise deployments. About a month ago, the Stride team also opened up its API to outside developers. Goldsmith was pretty open about the fact that he’s very happy with the final result but that he would’ve liked to see that happen a bit earlier. Stride’s API is the first product that sites on top of Atlassian’s new API platform. That probably made building the API a bit harder, but Goldsmith noted that that now makes integrating with Stride easier for other Atlassian teams.